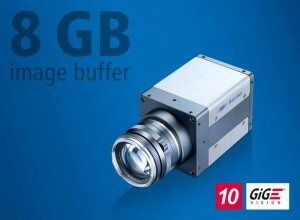 The Baumer QX series 10 GigE cameras feature 8 GB internal image memory and extended functionalities. 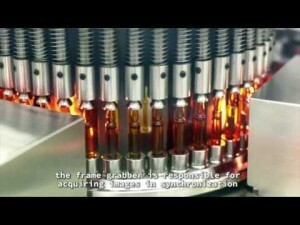 Process monitoring applications benefit from inspection times increased by a factor of 4 as well as flexible usage of the memory. The new function package is available by a firmware update starting the first quarter of 2019. With the expansion of the internal image memory from 2 to 8 GB, more images can be stored, which significantly increases the recording time: 2 s at a frame rate of 335 fps with 12 MP resolution. Flexible memory management, for example 2 MP resolution in a ROI (region of interest) nearly provides more than 4 s recording time at a rate of 1000 fps. Two further image buffer modes added to Burst Mode enable even more memory flexibility. According to the application requirements, the image memory can be used for a single writing cycle or continuous overwriting like a ring buffer. Further to image buffering, the image preview function simplifies process monitoring — without an HDMI camera interface. The QX series cameras utilize a 10 GigE Vision-compliant interface at 1.1 GB/s bandwidth for fast transmission of buffered images and reduced evaluation time. 10 times faster than GigE Vision and 35% faster than Camera Link Full makes them suitable where short sequences require very high frame rates, e.g., process analysis in industrial applications, live cell diagnostics in the medical industry, scientific research or motion analysis in sports.